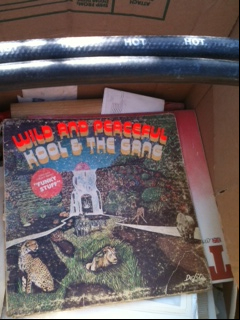 Today I had the distinct pleasure of getting lost and accidentally finding an awesome garage sale in Carlsbad. It’s actually a moving sale to help raise money for Dan (aka Eco Warden) who is in need of a new north county rental with 3-4 bedrooms for himself, his chick and his 5 year old kid who has autism. He’s been having trouble finding a place that is ‘hillbilly friendly’, so please contact Dan or the ruthless blog if you know of a place that might be right for him and his clan. 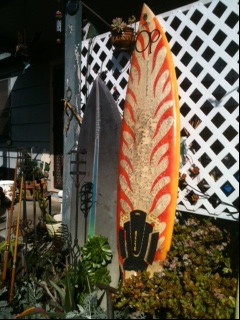 The Encinitas Surfboards shape on the left can be easily set up as a quad or single fin. The flame thrower is a Greg Nelson hand shape. 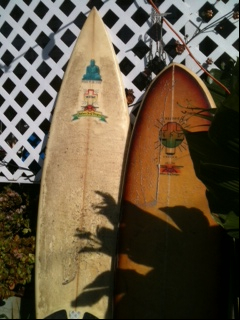 Two more rare Greg Nelson surf design boards still available (left: tri fin with crazy channels, right: custom old school twin fish). 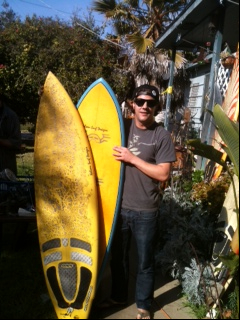 Greg was a shaper for Dog Town in the 80’s and also Swami’s underground. 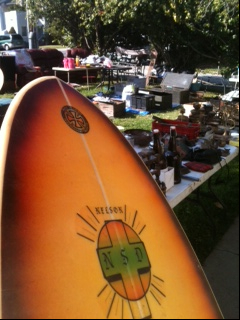 …except for these two Nelson Surf Designs which yours truly snagged for $80 and a barter. 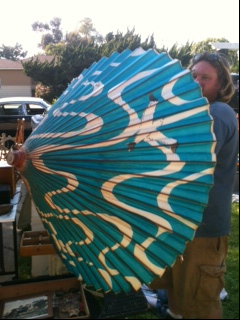 Getting them fixed up over at Surfy Surfy as we speak! 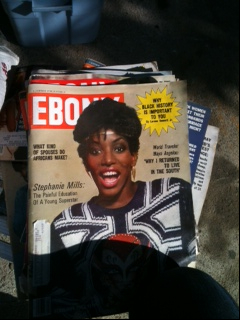 …even stacks of old Ebony magazines!!! 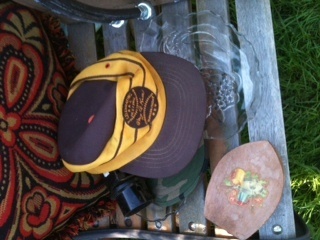 Head to 264 Jefferson Street in Carlsad tomorrow for a garage sale adventure! 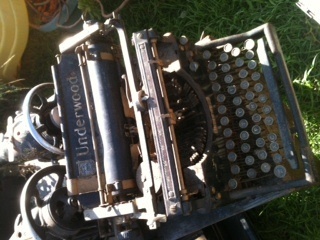 18 Feb	This entry was written by summerfunonthe101 and published on February 18, 2012 at 4:49 PM. It’s filed under Ruthless Cause, The Week Ahead. Bookmark the permalink. Follow any comments here with the RSS feed for this post.